Attorney Merino is Certified as a Specialist in Criminal Defense by the Texas Board of Legal Specialization, and has experience defending cases before and after charges have been filed. If you are accused of a crime, it is critical to find an attorney who is skilled and knowledgeable in Criminal Law. You need an attorney with extensive trial experience to represent you in what may be the single incident that could forever change your life. Attorney Merino will lead you through with confidence and experience. Rey Merino is committed to the defense of his clients. He understands that being investigated or arrested for a crime is a serious matter that can affect not only your LIBERTY, but also your LIVELIHOOD, REPUTATION, and FUTURE OPPORTUNITIES. Mr. Merino understands that many clients facing a criminal investigation or accusation are under a great deal of stress and are going through a very difficult time in their lives. He encourages questions fom his clients so that they can better understand their rights. Rey Merino does not operate a "cookie-cutter" office where clients are all treated the same. 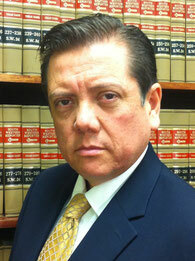 Mr. Merino gives each case individual attention and personally meets with each client one on one throughout the case.